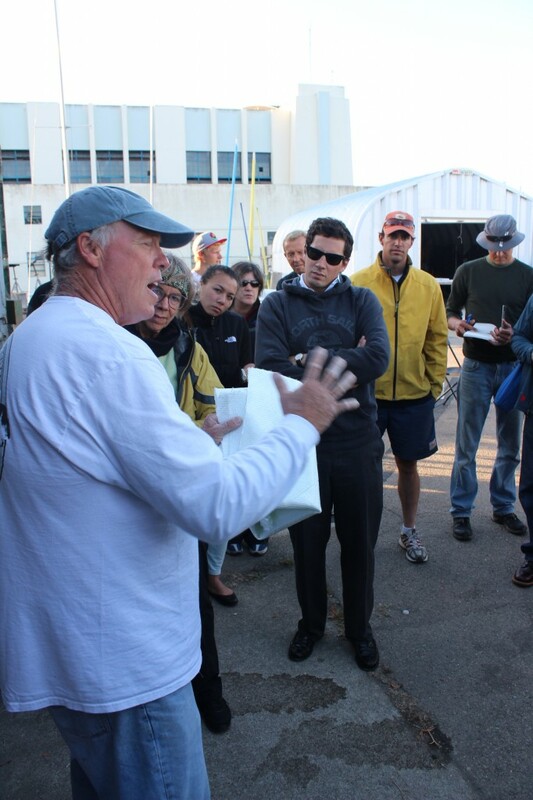 With 1,000 student-drivers per year, dings, nicks and holes can’t be avoided in Treasure Island Sailing Center’s fleet. 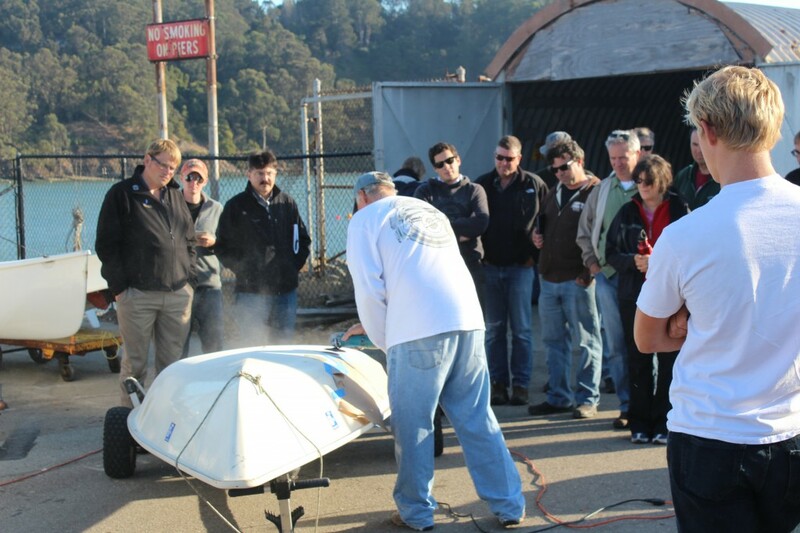 Dave Collignon, TISC Melges24 sailor and Revchem technical applications expert, shared his fix-it expertise with 26 students using fast-setting UV-cure polyester resin. Dave’s approach for the class was clever and effective. 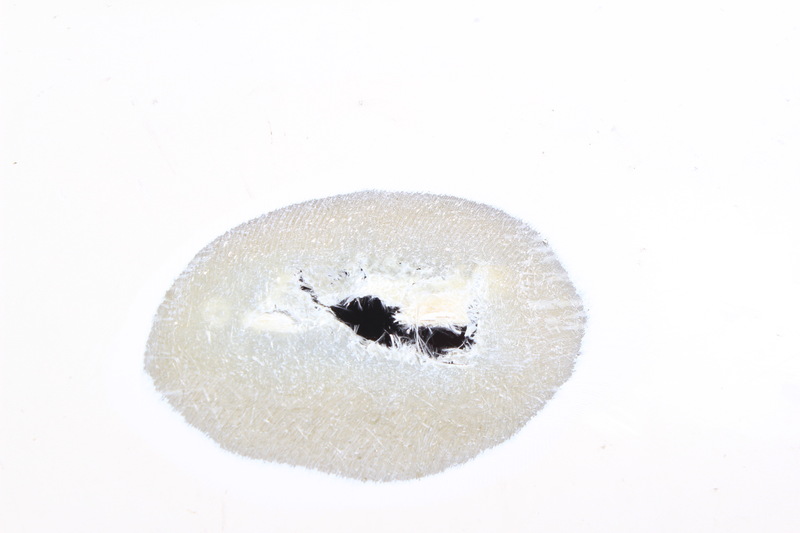 He used an old Laser hull with four (self inflicted) holes on the curved chine. He took them to various states of completion before class started then used each to demonstrate a different step in the repair process after students arrive. 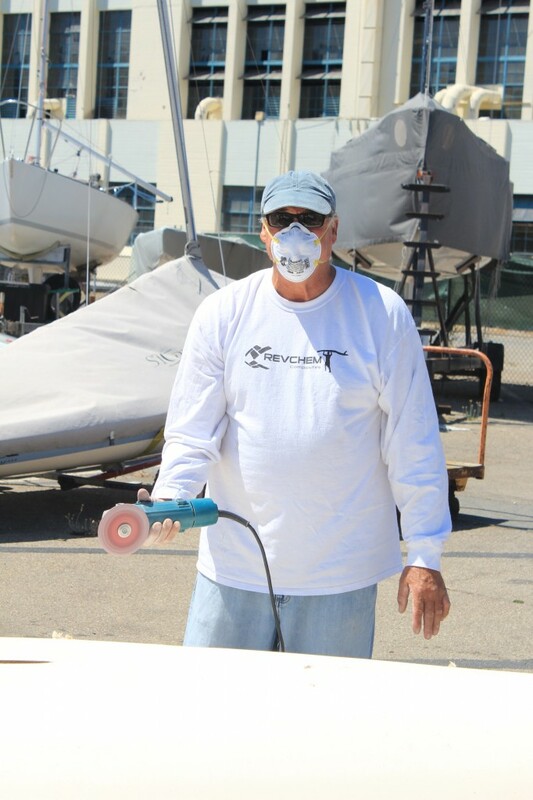 At all times he protected the hull from “drips” with paper, and himself from “the itchies” with long sleeved shirt, glasses, respirator and long sleeves. 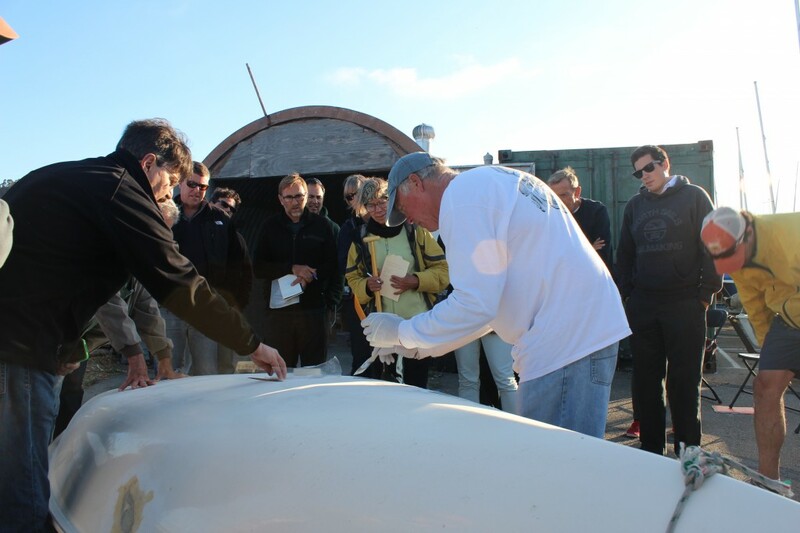 The secret ingredient used during the clinic was UV Cure Polyester Surfboard Laminating Resin that hardens in 10 minutes when exposed to sunlight. Pot life in the shade is hours to days. 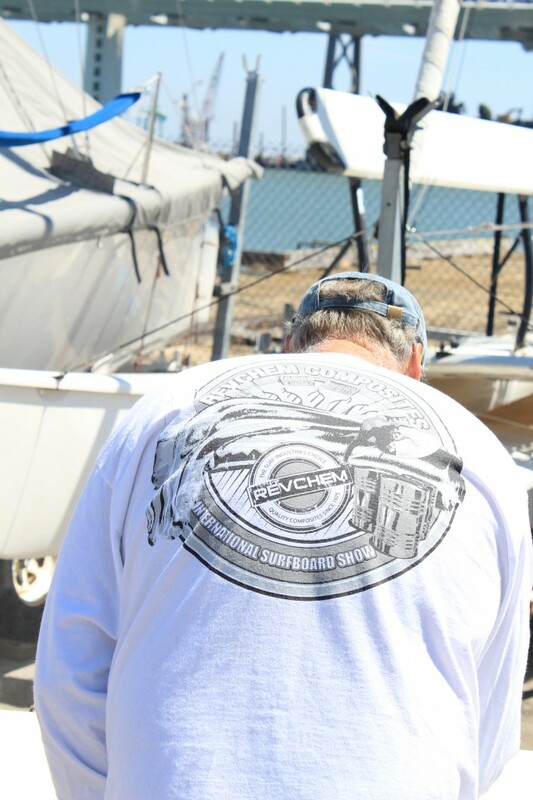 Along with a few other products (available at Svendsen’s Boat Works), simple tools and mother nature – repairs can be accomplished rapidly, even over lunch between the last morning race and first afternoon race ! 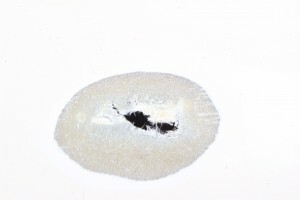 Dave completed the steps for a simple repair by working on four similar spots in parallel.He used a grinder to remove material around the ding – being careful to leave as much damaged glass intact as a base for the patch. The entire repair to a real hole would easilly have been completed in an hour. 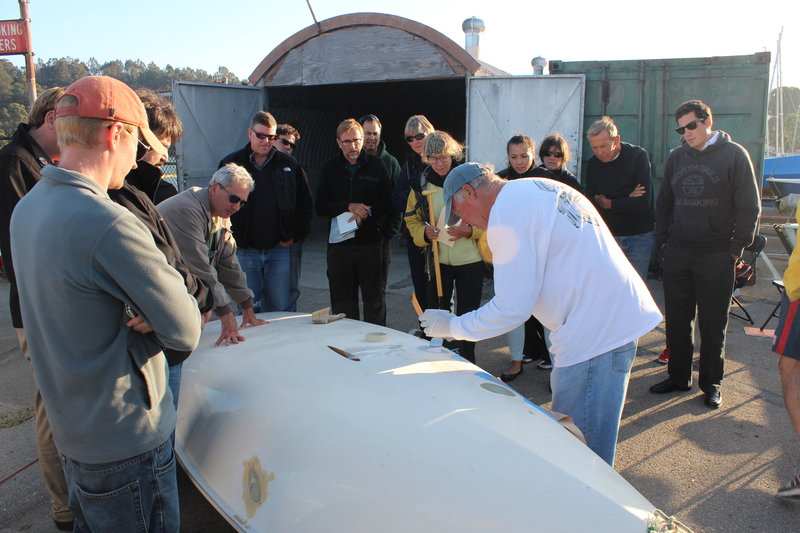 A hard block was used for fairing to retain the shape of the hull. 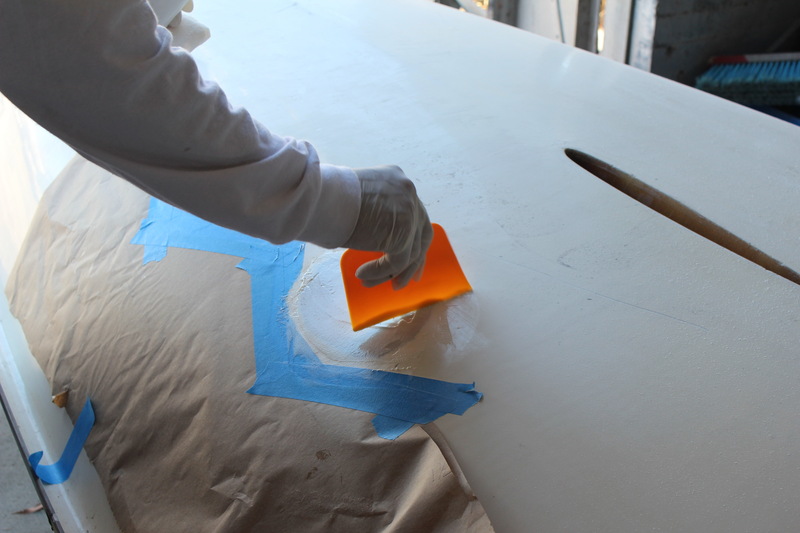 The final state, before application of gelcoat, was a “50 grit smooth” surface shaped like the hull slightly recessed to make room for the gelcoat. 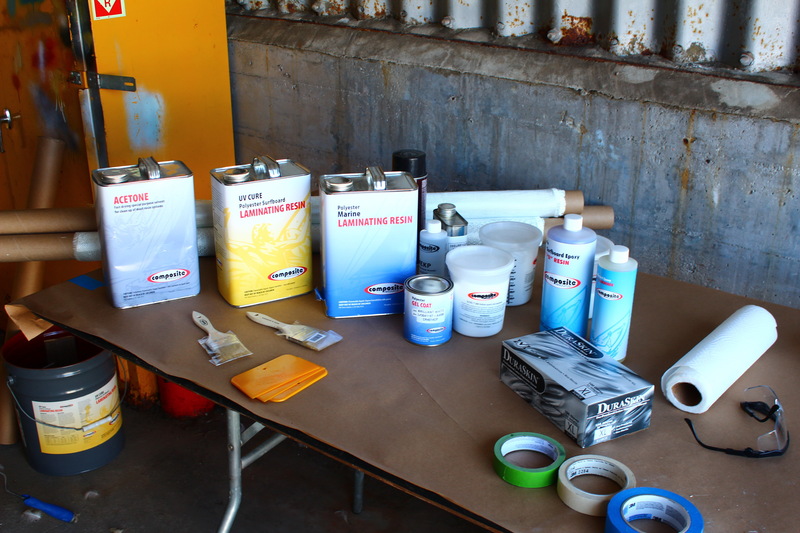 Three additives provide the basis for repairs: milled fiber for strength and hardness, Q-Cell quartz microspheres to create a filler that’s easy-to-sand, and fumed silica to act as a thickening agent. 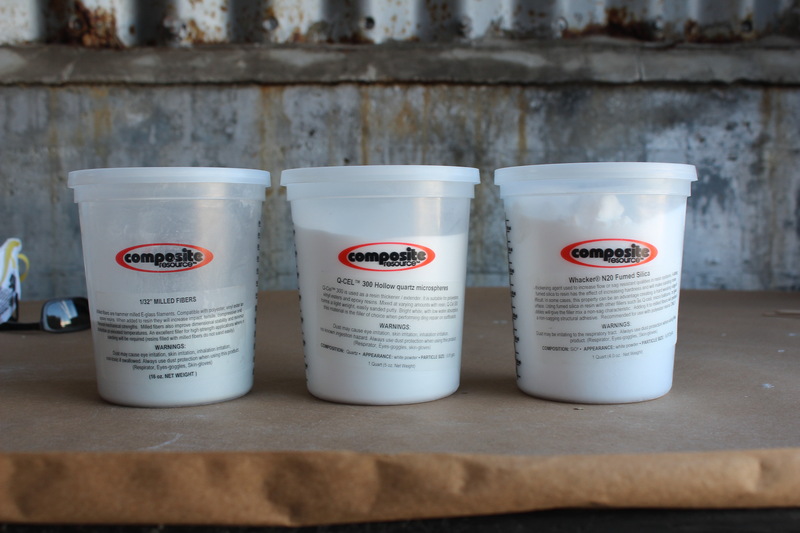 Used in various combinations they form a putty with adjustable properties from super strong to super workable. Sitting on the shady table they remained workable all afternoon and into the evening. Students arrived at 6pm. 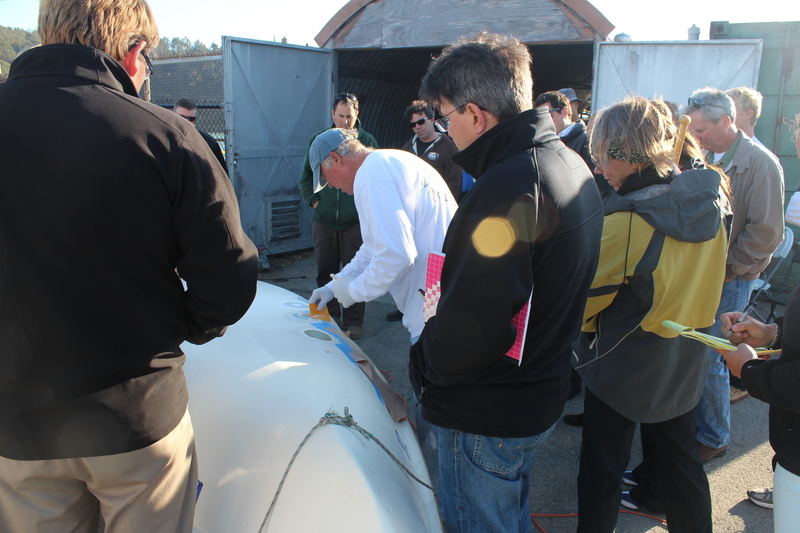 With the four dings at various states Dave took the class through each step of the repair process. Even with the sun’s rays weakening, students were able to observe best practices for each step in the process as dave took the repairs to completion. 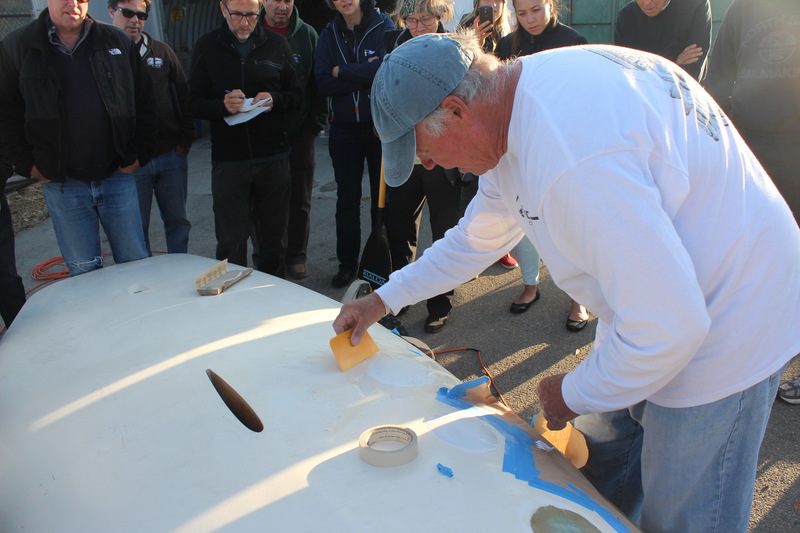 The final step was the addition of the gelcoat layer. 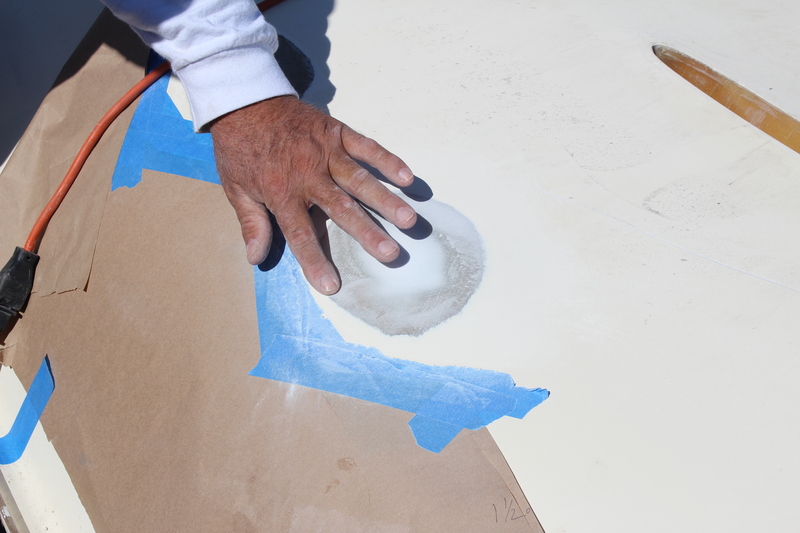 After application of the gelcoat he used a freezer bag to cover the patch to ensure an almost-smooth finish. After curing the gelcoat is sanded with 220-600-800 grit sandpaper then buffed smooth. 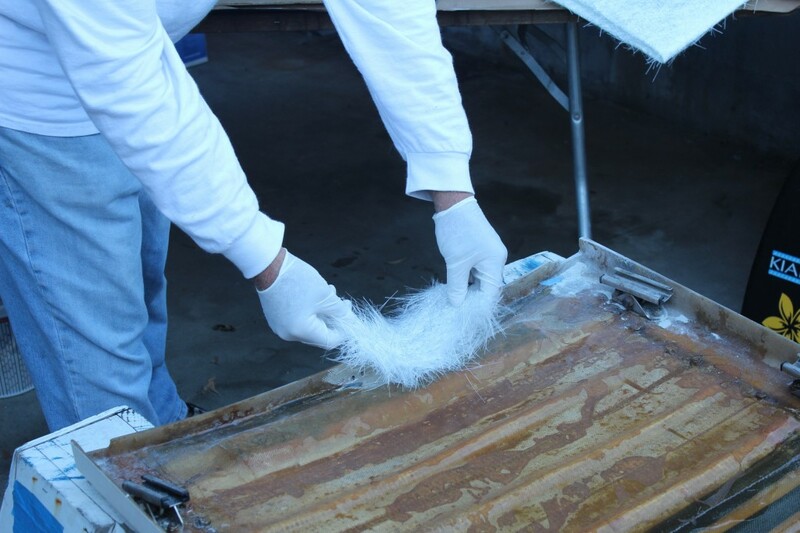 Fiberglass cloth is available in a wide range of weights, construction and materials. Dave went through many of them, including a short discussion of carbon fiber cloth. 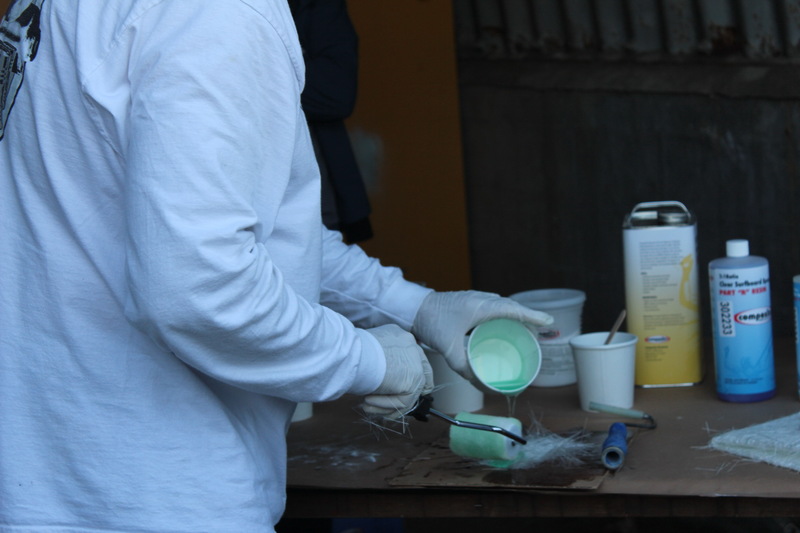 He also touched on the use of epoxy resin (best for structural repair) vs the polyester resin used in class ( best for cosmetic repairs). The last repair of the day was a J/24 hatch cover damaged on one edge. This was a good segue into the use of thick, unwoven glass fiber cloth. 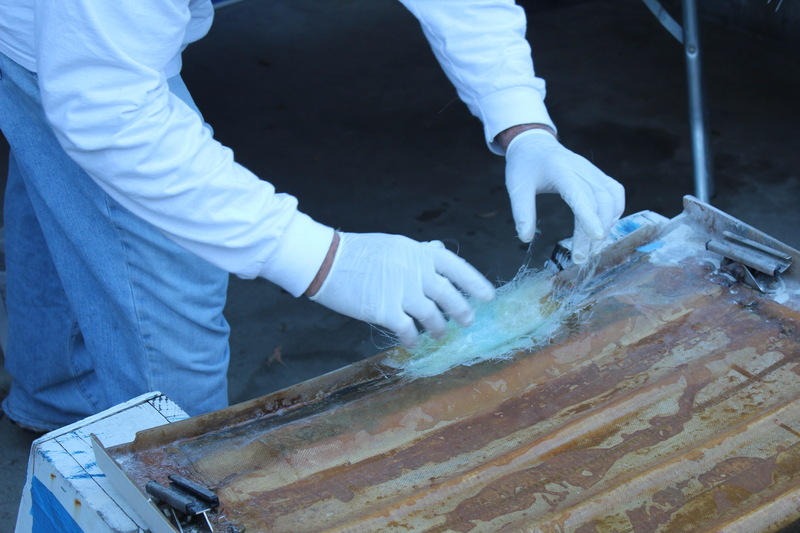 Dave showed the key to success with this ungainly material: gloves and various sized resin rollers ! 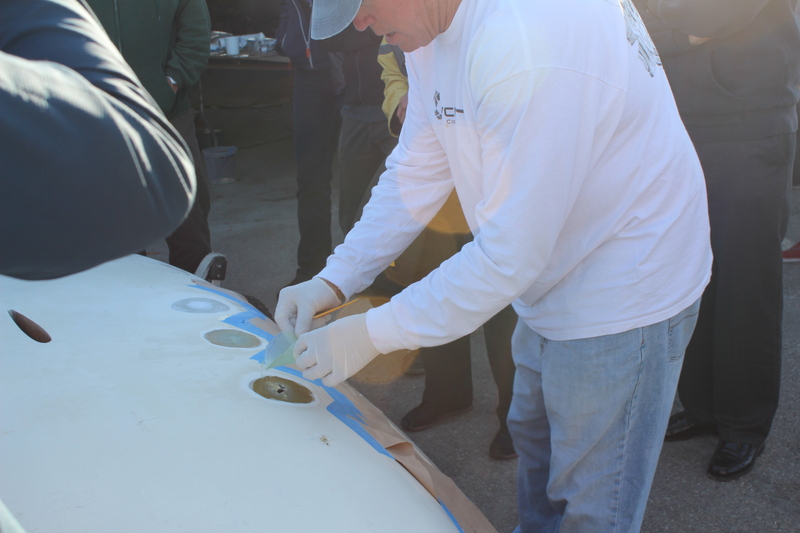 As the sun was finally setting Dave talked through the repair of an Opti with damage to the bow. The trick on this one was a combination putty made with both milled fibers and fumed silica. 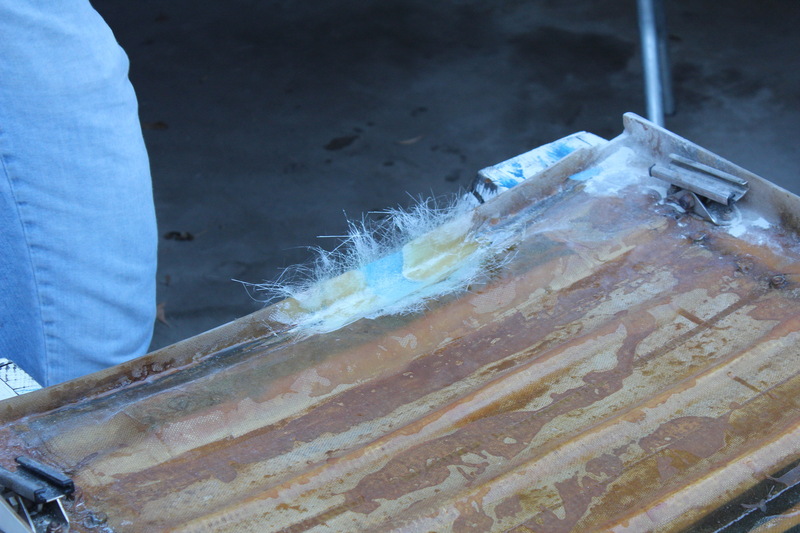 The deck and hull were then clamped securely but not quite touching. 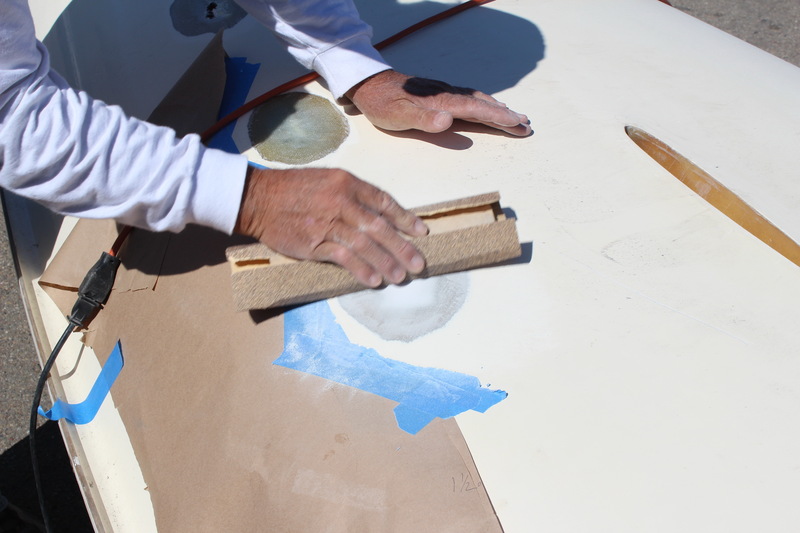 For both the J/24 hatch cover and Opti bow, the last step would be external finishing using same techniques as with the Laser. Questions and wrap-up followed at 7:30. 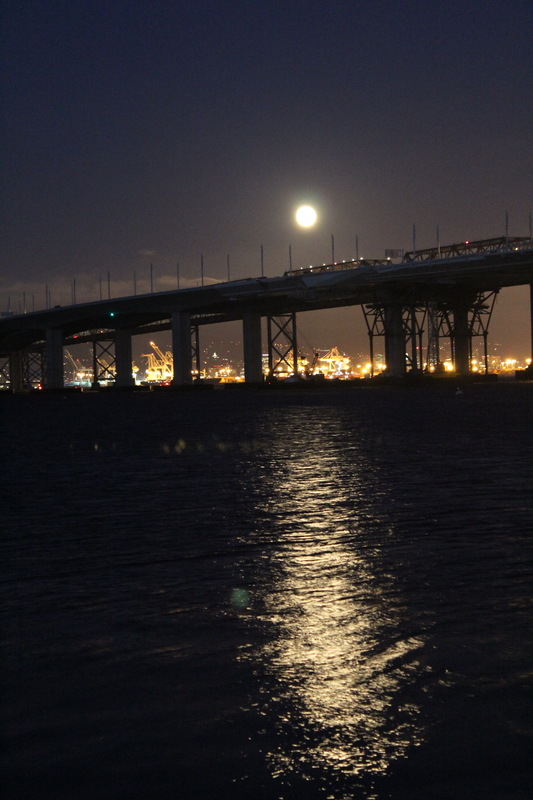 After the last pizza box was cleared and tables/chairs put away the UVA from Mother Nature was replaced with moon beams over the new Bay Bridge. While not great for UV Cure resin it made a nice bookend for the first annual TISC “Glass Class”. Thanks again to Dave Collignon for an entertaining, fact-filled, hands-on fiberglass boat repair clinic. 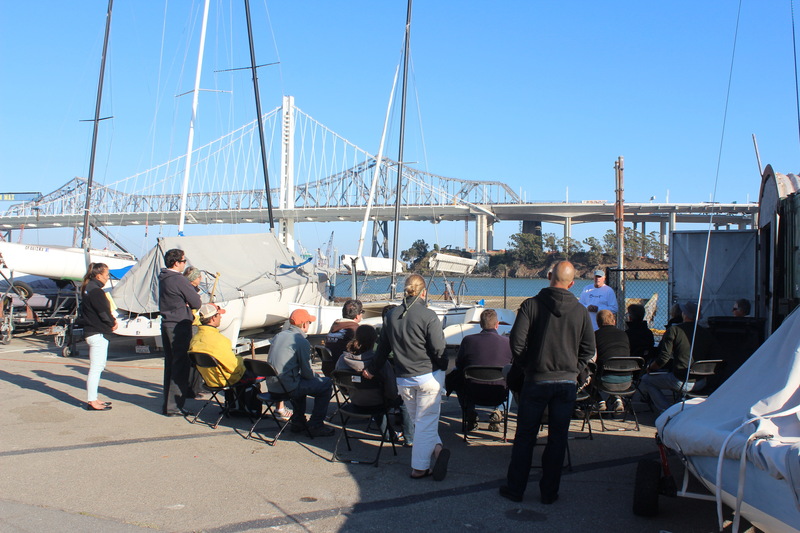 And thanks in advance to those attendees who will be using their new-found-skills to help maintain the Treasure Island Sailing Center fleet as they set sail heading out for new horizons. 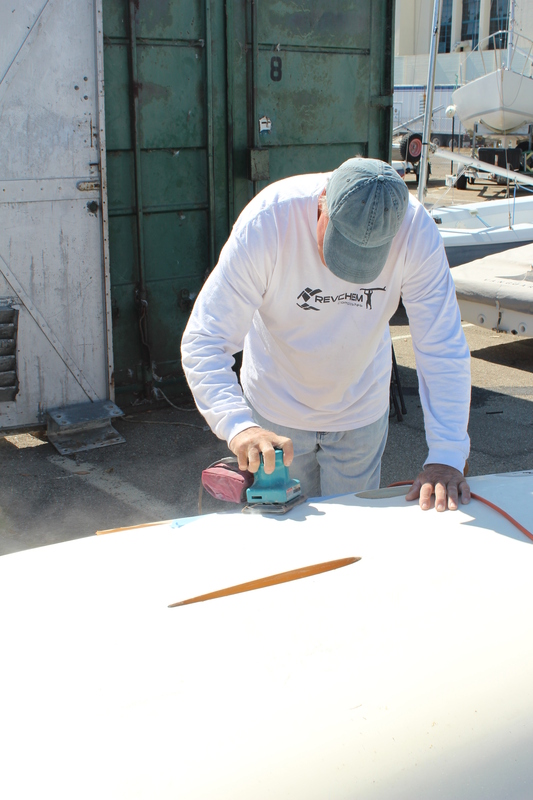 Phone number for Matt Ford, the manager at Svendson’s Chandlery: 510-521-8454 ext# 34. These guys sponsor the Thursday night Laser/V15 races and are great TISC supporters. If you need supplies they are willing to drop off at TISC. 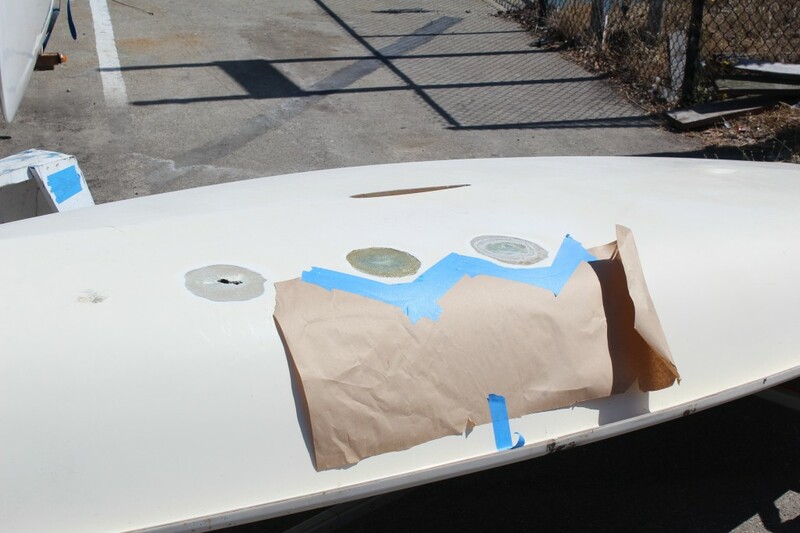 This entry was posted in Uncategorized and tagged fiberglass repair, J/24, Optimist Pram, Revchem Composites, Svendsen's Boat Works, TISC, Treasure Island Sailing Center, UV Cure Polyester Surboard Resin by skippersgift. Bookmark the permalink.